When I think of the name Lonely Planet, I think of top-notch destinations guides but, I didn’t realise that they also have a range of children’s books. The Lonely Planet Kids books are all colourful, fun and educational. 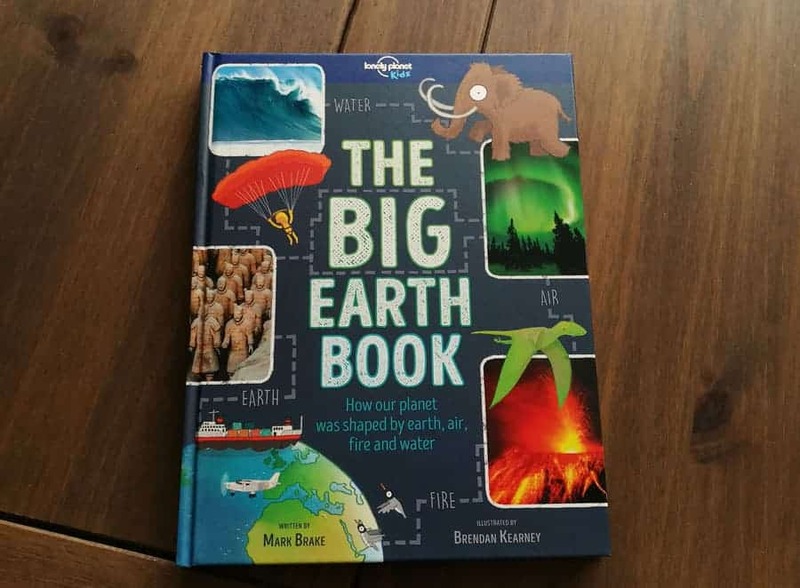 We were recently sent two of their new titles to review, the first of which was The Big Earth Book. 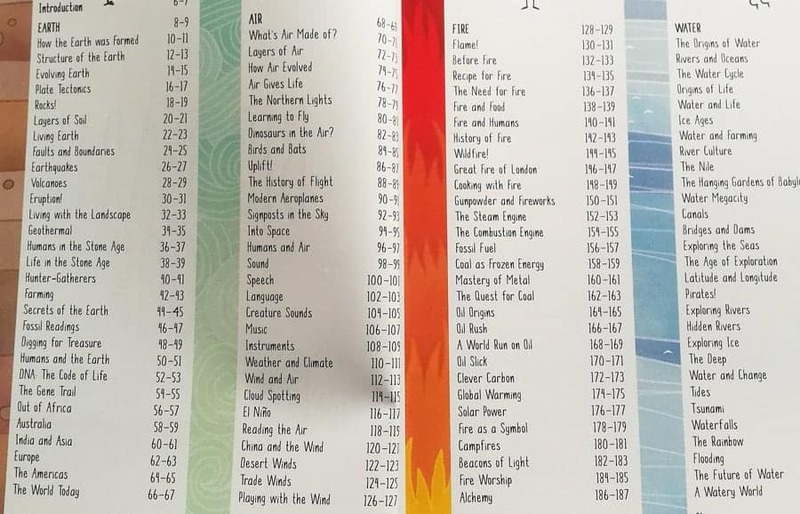 The Big Earth Book is full of so much fascinating information, I mean just look at the photograph of the contents page below, so many sections and different topics! The book covers so many different topics all about the Earth. 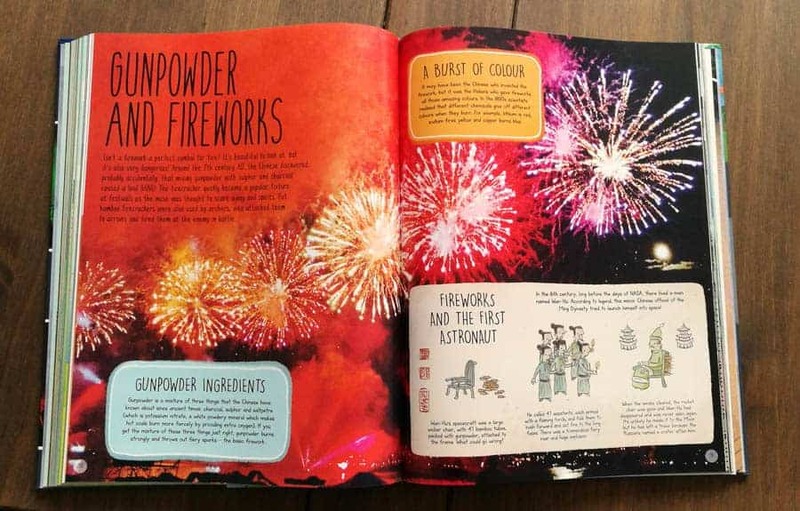 One of our favourite bits was the Gunpowder and Fireworks part, as we all love fireworks in this house and my youngest was fascinated to read about how fireworks actually became a ‘thing’. 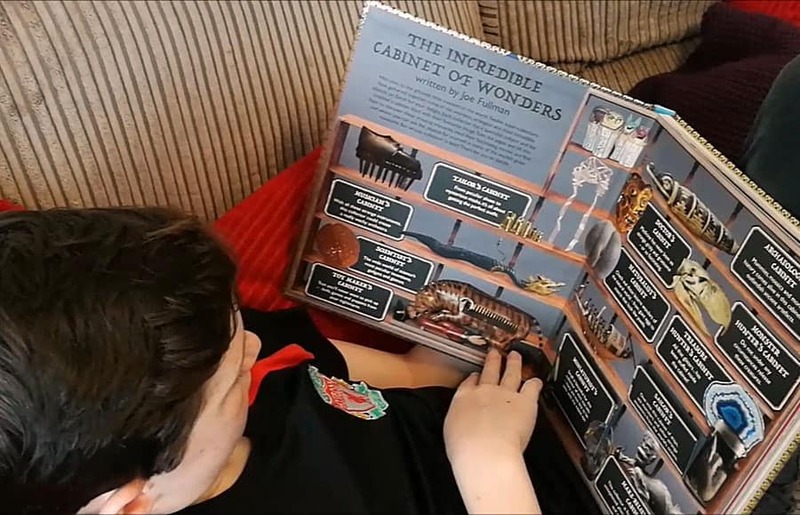 I think we all learned a lot of new things from reading this book and Harley has said that it will come in really handy for helping with his homework too. For years Si and I have said that we really want to see the Northern Lights and the boys have nodded, not really thinking about what we actually meant. 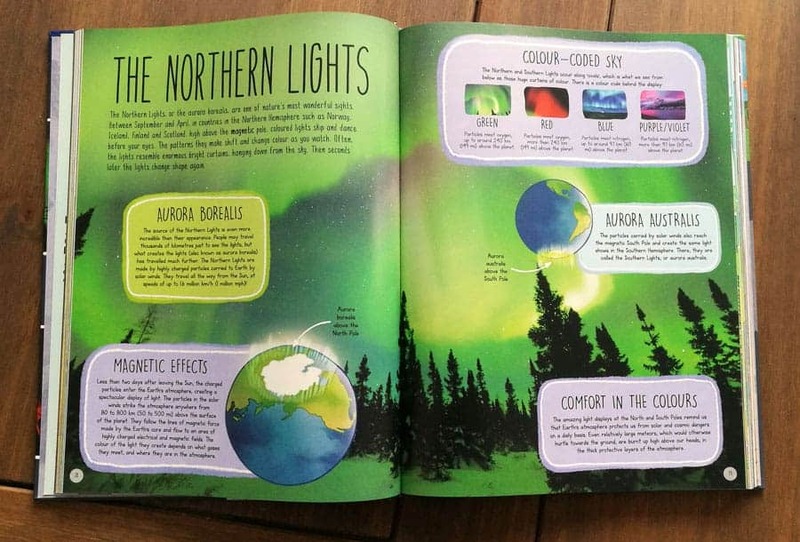 The Northern Lights section in the book helped them to understand it more and now they want to see them too. We had better get saving! 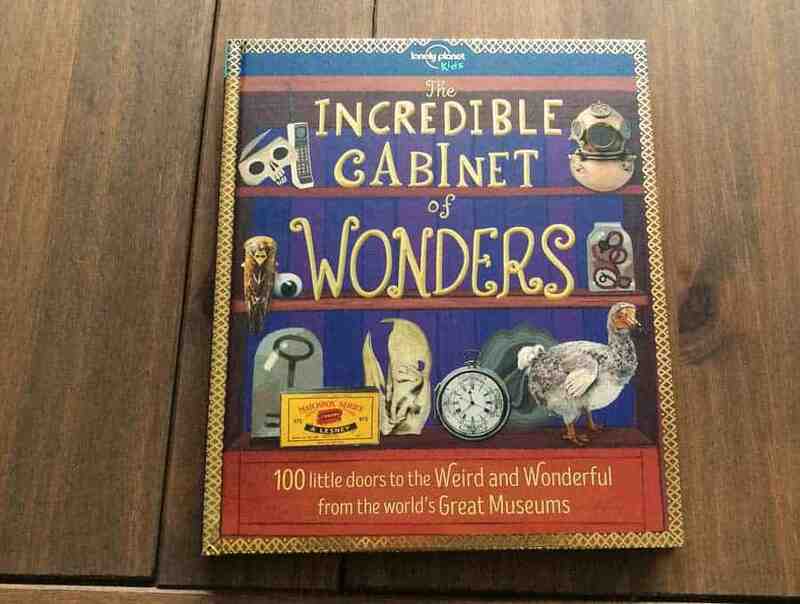 The second book that we were sent from the Lonely Planet Kids books was The Incredible Cabinet of Wonders. 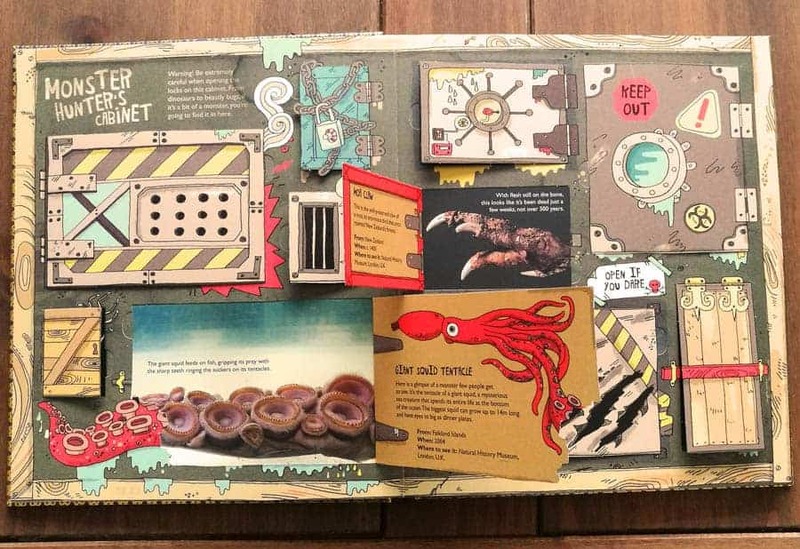 A book with 100 different flaps to open to discover weird and wonderful items that are in some of the World’s Greatest Museums. This book was Harley’s favourite for definite. Some of the items are so fascinating to read about. 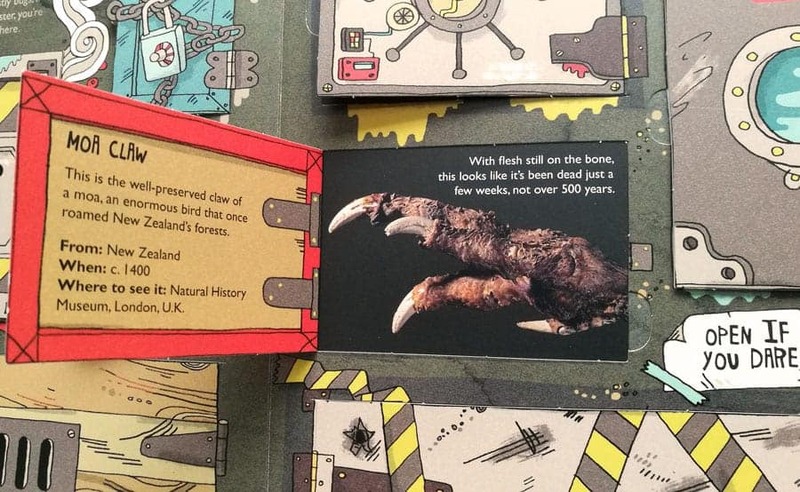 Some of the items are a little bit gross or gruesome too, like the Moa claw below which I find a bit creepy, but the boys love. 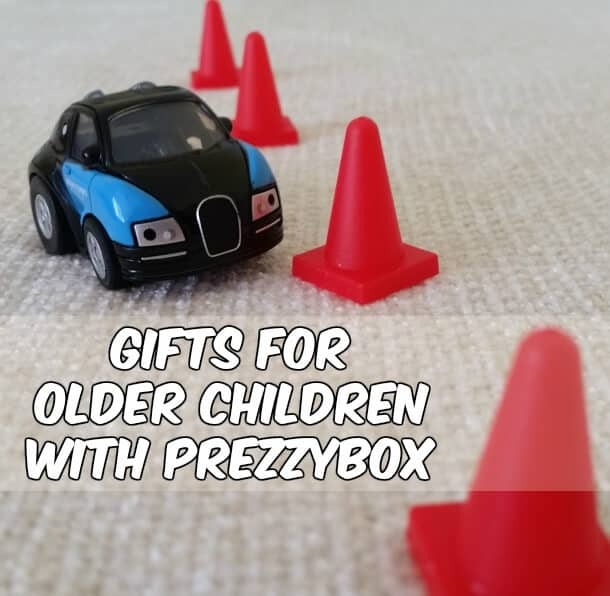 All of the items also say where they’re displayed, which is great for encouraging children to want to visit Museums and learn more about history. Harley really did enjoy this book and had his head buried in it for ages. You can hear more about what he thought of it in the video below. Lonely Planet Kids also offer lots of free activities. 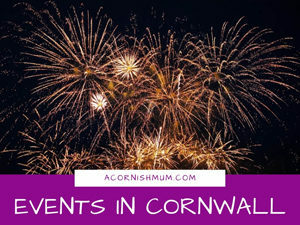 from activities families can do at home to the LP Kids blog, which contains contributions from younger travellers and interviews with interesting people and travellers from around the world. 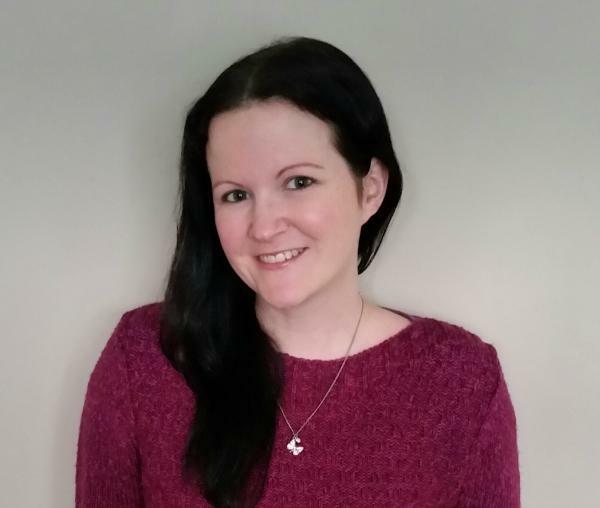 You can find Lonely Planet Kids on Twitter as @lpkids, and on children’s social media network PopJam too. You can buy the Lonely Planet Kids books on the Lonely Planet website, pop there to check out the full range of books! 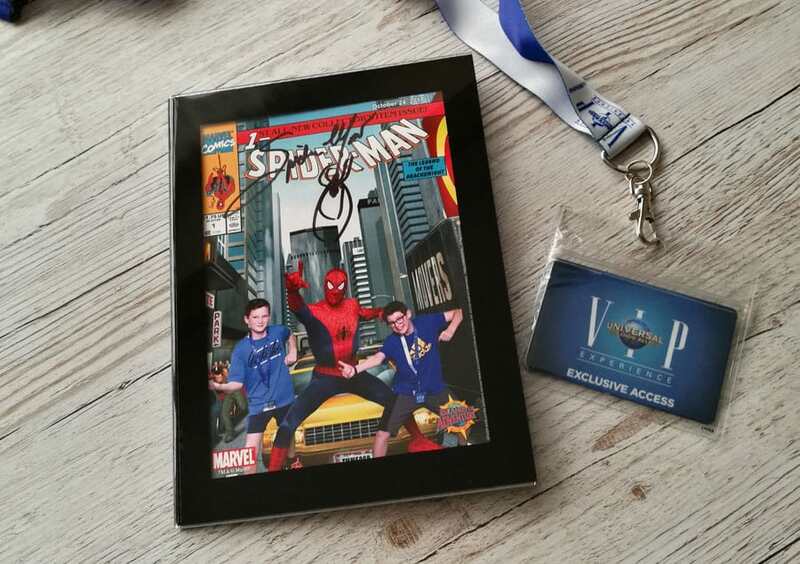 Anyone signing up to the Lonely Planet Kids newsletter also gets 30% off their first Lonely Planet Kids purchase – as well as newsletters with family travel articles, fun activity sheets and news. Ha ha ha bless her!